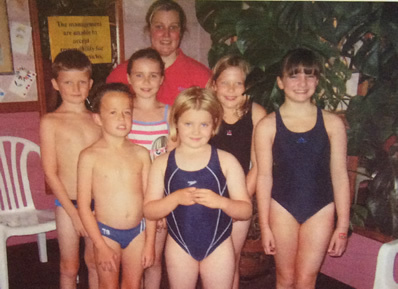 At the present time there are 4 teachers working in the business with a combined total of 75 years expertise teaching swimming. 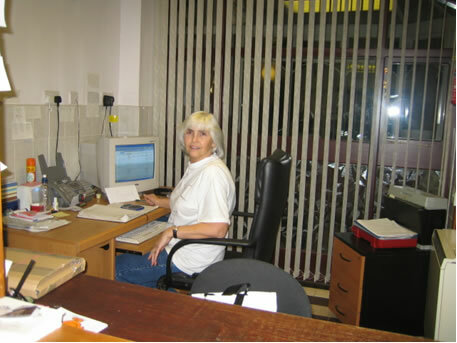 Lesley our office manageress (who will probably be your first point of contact), has been with us since the very beginning. We feel that our success is largely due to teaching pupils to develop good style and technique. We have taught generations of children, the majority going on to achieve A.S.A gold award. 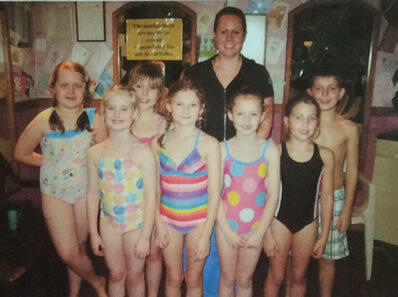 Below are pictures of groups who have achieved gold, along with their teachers.